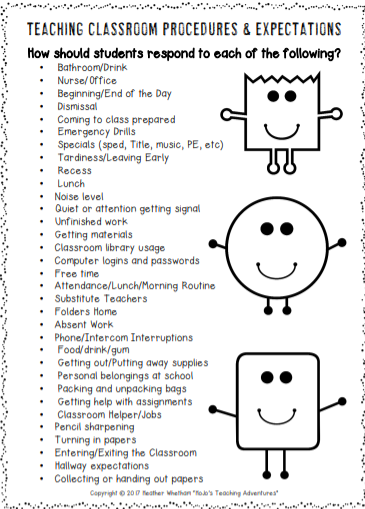 Grab your FREE Procedures & Expectations Printable! Grab your FREE download and you'll be added to our free e-mail list when you're get bi-weekly news from Heather at HoJo's Teaching Adventures. If you teach preK-6th grade, you want to join us! You are now part of our newsletter list! Click below to grab your FREE download!